After decades of letting The Pink Panther name be stolen by Peter Sellers and whoever was foolhardy enough to follow Peter Sellers, MGM is making a new Pink Panther movie—one that’s actually about the Pink Panther. The studio, along with Simpsons Movie director David Silverman and Simpsons writer Michael Price, is preparing a live-action/CGI hybrid starring the animated feline who once skulked around those films’ title sequences, before eventually becoming so popular he spawned his own series of spinoff cartoons and a Saturday morning TV series. Unlike all other Pink Panther films, this one won’t focus on Inspector Clouseau, who won’t even appear (though he does “exist in the movie’s mythology”). And unlike the Roberto Benigni-starring Son Of The Pink Panther, it also won’t focus on his excruciating illegitimate children. 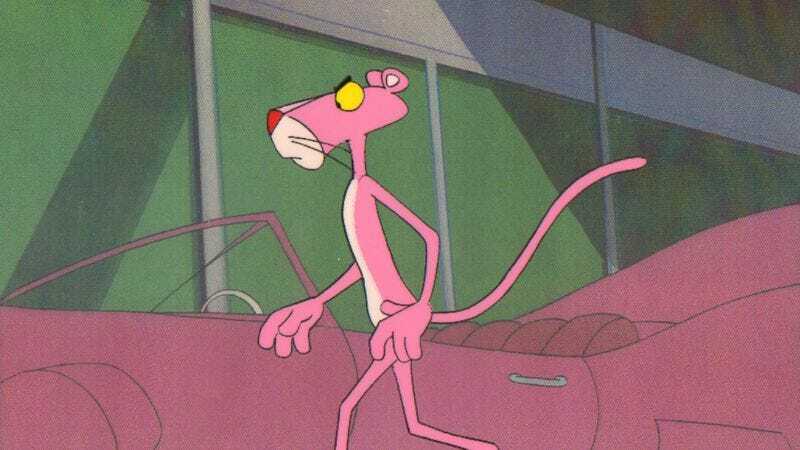 Instead, it will find the actual Pink Panther involved in some sort of “international jewel heist caper,” one we presume will explain what a large jungle cat wants with jewelry in the first place. (Does he use it to distract antelope, or…?) Of course, any such explanation won’t come from the Panther himself, as the character won’t speak, instead once more letting the slinky saxophone stylings of Henry Mancini do all the talking. If only Steve Martin’s Pink Panther movies had done the same.